← June 4 – It’s snowing! The Gathering is what we call ourselves. We are a group of women who knit, worship, pray, have fun, and share each other’s joys and sadnesses every Wednesday. We’ve been together since about 2001, and our relationships are deep and strong. We’ve had many visitors over the years; some who stay and some who don’t. But today’s three visitors came dressed in their finest clothes and we welcomed them with open arms. They undoubtedly will not stay, but while they were there, we loved having them. 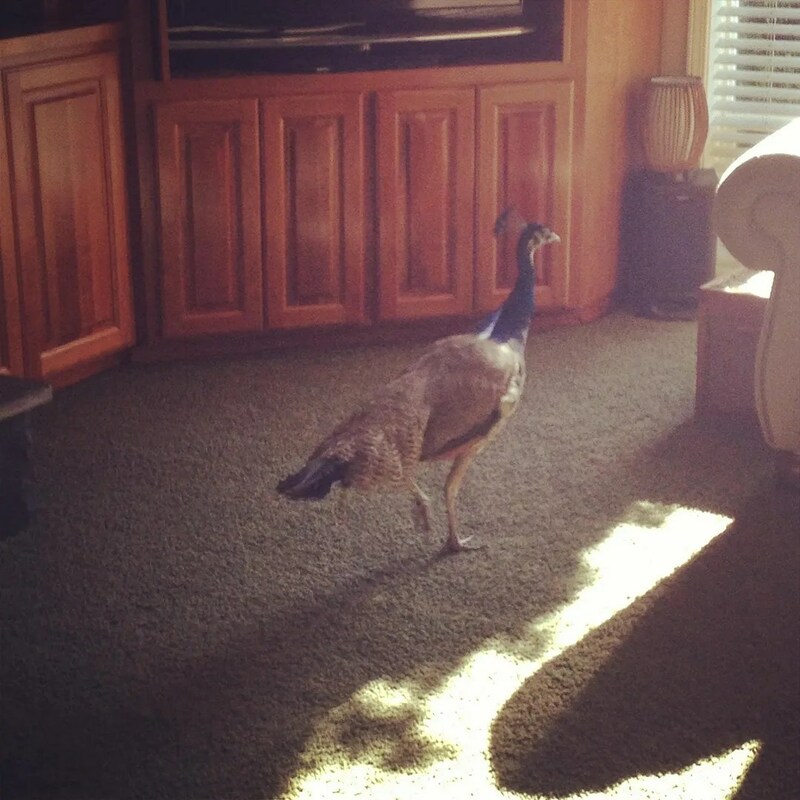 This morning before we got to Sara’s house, this guy actually got into her house! 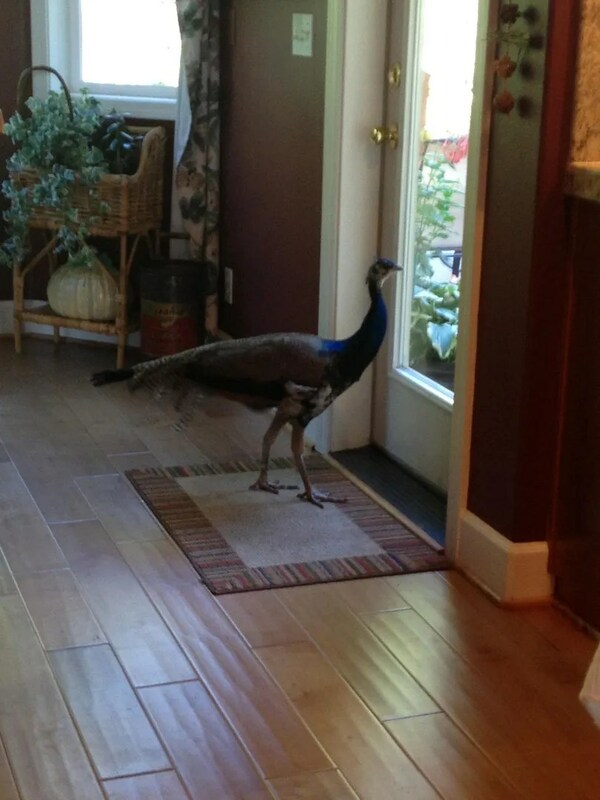 He toured the whole upstairs, and eventually ended up at the dining room door, where he was ushered outside. Try look the size of his feet!! We never know who might show up at The Gathering; these three really brightened our day! They hung around all day; Sara was not too pleased with their raucous calls in the afternoon, however. Oh, I hope they didn’t stick around overnight. 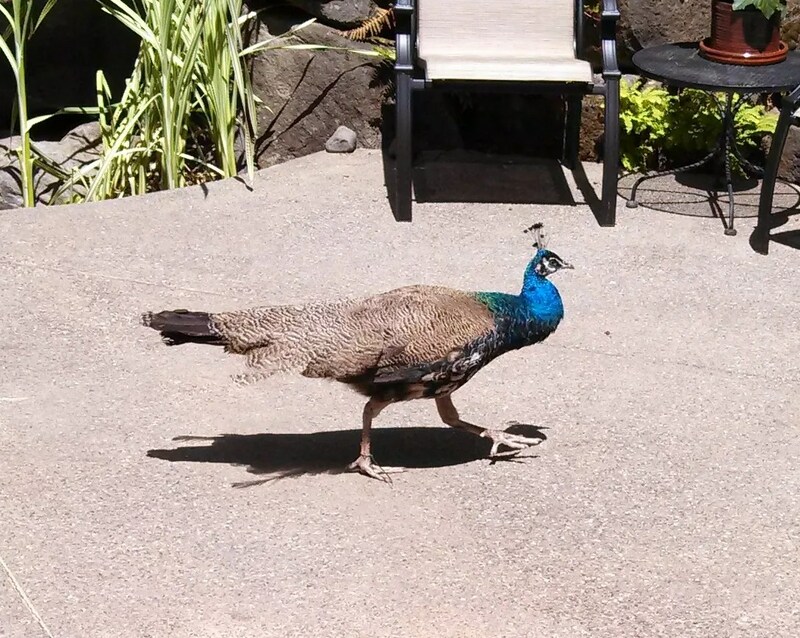 There used to be peacocks in my old neighborhood in Ahuimanu (escapees from Valley of the Temples, I think). They are SO LOUD when they call at night.